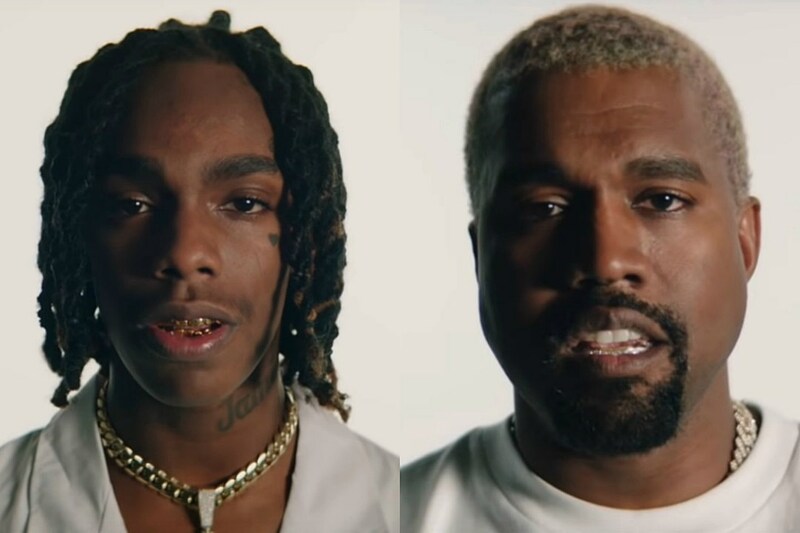 YNW Melly taps Kanye West for “Mixed Personalities,” a new song that finds an angst-ridden Melly involved in a psychological battle with his girlfriend. On the track, which is the ninth on Melly’s We All Shine album, the Gifford, Fla. native opens the tracks with a notable line from the late actor R. Lee Emory in the 1987 film Full Metal Jacket. Then he connects with ‘Ye to debate what to do about his current love interest who randomly switches up her attitude so much that he himself is starting to have mixed personalities. For his part, Kanye joins Melly in emphasizing their collective mental anguish by holding down the relatable chorus. To coincide with the album’s release, Melly and Yeezy also deliver a Cole Bennett-directed video for their new song. In the visual, we see Melly and Kanye roaming about semi-empty spaces with robot-like creatures surrounding them. A woman, one who’s presumably romantically involved with either rapper, has three heads. That bit is probably meant to represent the split personalities. Cool stuff. Check out the new song and video below.